In February 2004, the Royal Festival Hall in London witnessed the first performances of what for many years had been described as the greatest popular music album never heard, Smile. 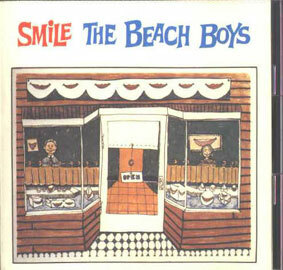 Conceived and written by the former leader of The Beach Boys, Brian Wilson, and lyricist Van Dyke Parks, Smile was originally scheduled to appear as a Beach Boys record in early 1967, but was abandoned, unreleased, shortly thereafter: the apparent victim of anything from musical differences and legal disputes to Vietnam draft calls, hallucinogenic overindulgence and the release of The Beatles Sergeant Pepper. Yet after decades in which it was elevated to cult status, buried under layers of crazy Brian folklore, but heard only via obscure bootlegs or official yet stopgap extracts, last September this previously unfinished symphony was finally released on CD in a newly recorded version - to rave reviews, poll triumphs and prestigious awards. There will be one written and one musical set text, both of which all students should obtain: Brian Wilson, Brian Wilson Presents Smile (Nonesuch 7559-79846-2 ); and Domenic Priore, Smile: The Story of Brian Wilsons Lost Masterpiece (London: Sanctuary, 2005), ISBN: 1-86074-627-6. Copies of Priores book will be available from Geneviève Munck International Book Service (Klostergade 33, 8000 Århus C; telephone: 86 19 50 42; email ). There will also be a compendium of readings. Students are encouraged to do some preliminary reading to familiarize themselves with the contexts within which Smile was conceived. Though bookshop copies of the following books have not been ordered by me, and you are not required to buy them, they will give you a useful general introduction to the subject. y no se olviden de los cursos "Stop Worrying and Love the Bomb:From Kubrick's Dr. Strangelove to DeLillo's Underworld" y "The Final Frontier: Images of Outer Space in American Fiction", que junto con el de brian wilson son los tres que estudia mi amigo danés este cuatrimestre... envidia es poco. juer, ¡que fuerte!, no se si me parece bien o mal, pero es muuuuy fuerte.